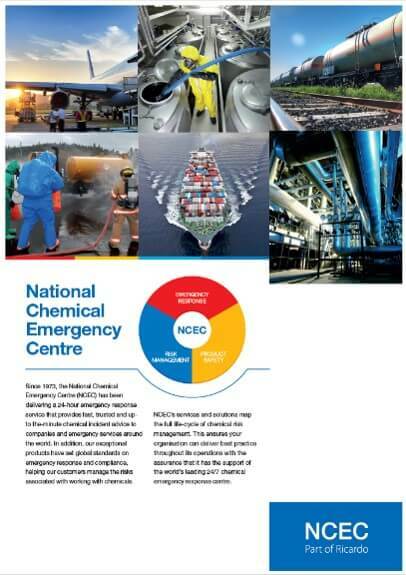 Ricardo has worked with the oil industry for many years and our oil testing services are called upon by organisations around the globe to support and advise on emergency response processes. Crude oil weathering: Ricardo has undertaken hundreds of studies on the weathering and emulsification behaviour of numerous types of crude oil. The work involves measuring changes in the properties of crude oil in simulated weathering experiments. This enables us to provide our clients with the critical input parameters necessary for use in popular oil-spill behaviour models such as the Oil Spill Information System (OSIS). Requests for input parameters for other models such as the Oil Spill Contingency and Response (OSCAR) model can also be investigated. Dispersant testing and approval. Ricardo has extensive dispersant testing experience in field and laboratory environments. 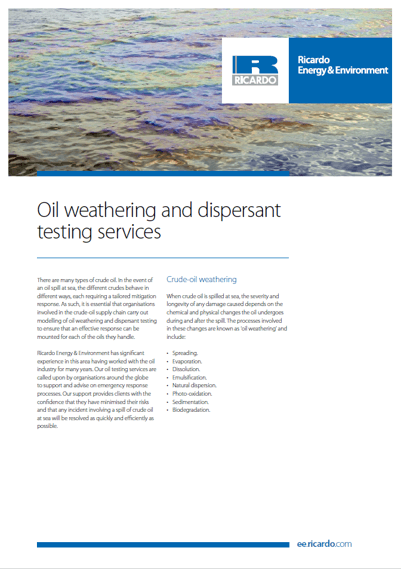 We carry out dispersant testing on crude oil and emulsions using the rotating flask method (outlined in appendix A of the WSL LR448 report). We test the effectiveness of dispersants that are approved for use in British waters and those that can be used in international waters. Dispersant stockpile testing. 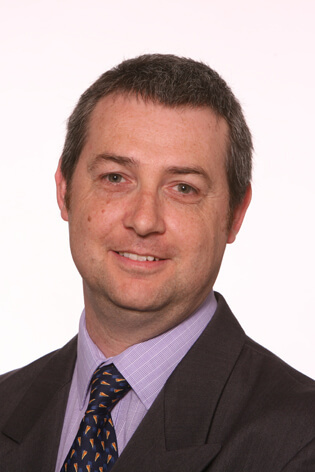 Ricardo can support you through the testing of the efficacy of stockpiled dispersants on a regular basis. Our clients send samples of the stockpiled dispersant to us and we test them using the LR 448 method.